Nephrology is a broad field with many subspecialties. Although you may not spend time on a dedicated nephrology service, you will encounter different types of kidney disease in each of your rotations — for example, patients with end-stage renal disease on dialysis, those in septic shock with acute kidney injury, and those with a kidney transplant admitted for infection or other problems. Find a brief summary of the history of nephrology, click here. See Next Steps if you are interested in a career in nephrology and are looking for more information on conferences, training, and other opportunities. Rotation Prep was developed by a collaborative team of experts, educators, fellows, and residents including Ramya Ramaswami MBBS, MRCP(UK), MPH; Andrea Merrill, MD (NEJM Fellow); Alex Djuricich, MD (NEJM Education Editor); Kassam Safa, MD; Charbel Khoury, MD; Jessica Tangren, MD; Timothy Sutton, MD; and Nupur Gupta, MD. The content was reviewed by Julie Ingelfinger, MD. 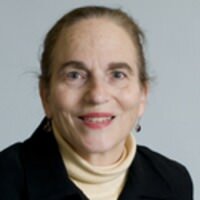 Julie R. Ingelfinger, MD is Professor of Pediatrics at Harvard Medical School, Senior consultant in Pediatric Nephrology at MassGeneral Hospital for Children at Massachusetts General Hospital, and Deputy Editor of the New England Journal of Medicine. Although every resident develops his or her own style for each of these roles, the following practical strategies were discussed in a NEJM Resident 360 discussion (How to Lead a Team on the Wards: The Art to Being an Effective Resident). For many medical trainees, transitioning from having a question for a research project to taking the next steps is difficult. Finding an appropriate mentor, getting ethics approval, collecting data, performing analyses, and writing up a project for publication are particularly hard when added to the pressures and stresses of medical school or residency.